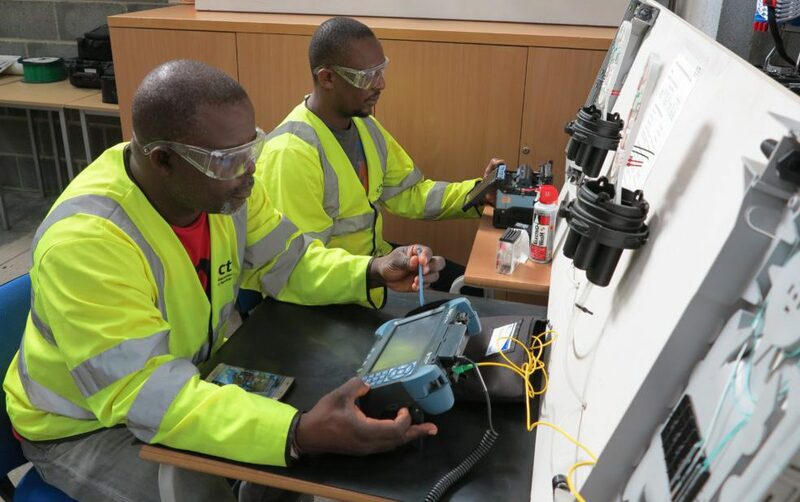 Cable Telecommunications Training Services (CTTS) a UKTA accredited training provider was recently commissioned by Tanzanian Telecoms Company to train engineers in a range of telecommunications courses including Fibre optics installation and air blown fibre technology delivery methods. The courses were delivered over two months at the CTTS international training centre in Lincoln UK. Photo: Technical Director Rafi Mohammed and engineer Fikiri Mhango get to grips with optical test and measurement and fusion splicing technics leading to certified qualifications.